Perfumes have always been in use in the history of human civilization and were derived from the Latin word “per fumus” meaning “through smoke”. Today, perfume means scented mixtures that are used as an accessory in any kind of occasion or any time of the day. In ancient Mesopotamia and Indus Valley Civilization of India, one finds strong presence of perfume use. With time, it just got refined. Both men and women have much love for perfumes and thus it is widely accepted as a gift. The market is very crowded with millions of perfumes and to surprise your man you must pick up only the best ones. You can try the following brands of perfumes as a gift for men in Dubai. In the huge world of perfumes, this one is believed to be the killer. It will give the men a very fresh feeling just like the blooming bouquet of roses and lilies. This bottle would always remind of musk which means it carries patchouli in its aroma. The best part is you can also get this trademark scent under 50 dollars. When you get an alluring perfume at such a reasonable price, you must buy it for your man. The same perfume is also found in their shower gels and essence oils. This one truly talks of sophistication and a high end brand. Ralph Lauren Polo was introduced in the year 1970. The perfect blend of wood, natural scents, and leather, this one is truly masculine in nature. The lovers of this brand say that this one is the greenest and woodiest cologne ever sniffed. You may take up the Polo Blue one that is both cool and warm in essence and is made with aroma of tangerine, melon, geranium, cucumber, and basil. This is perhaps one of the most fashionable fragrances in the world and it turned a century old in the year 2016. During the First World War, this brand was established and Colonia Perfume was hurled in the global platform during the 1950’s when the leading men of Hollywood started pouring appreciation for this one. The top notes of this fragrance are made up of lavender, citrus, sandalwood, and damask rose. If you are looking for something classic, traditional, and bold in the world of men perfumes, this Aramis Classic is going to be your choice. The strong essence of wood, earth, and leather along with cinnamon and green grass has made this perfume on of the best ones for the men. This one can be applied both during day or night. 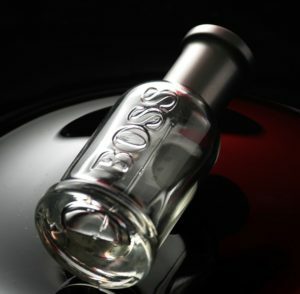 In the world of expensive gift ideas for men, this one perfume bottle would be a perfect choice for your man. The aromatic incense from Yemen, white musk, and Tuscan Iris have made this perfume one of the most thrilling ones in the sea of perfumes. This perfume named Bois D’Argent is a part of the La Collection Privée Christian Dior. You can get it at 350 dollars and the amazing fragrance would enchant your man for sure.